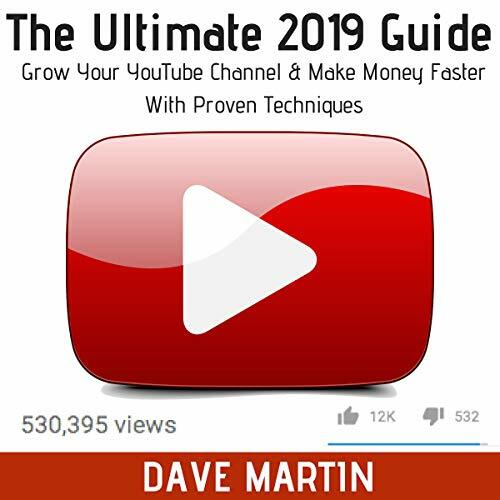 This guide is geared toward enabling you to take advantage of the immense potential of YouTube by showing you how to create your own YouTube channel, build a massive audience, and maximize passive income. You will learn everything that you need to know about using YouTube for marketing. In fact, YouTube is a cost-effective means to expand your business and your reach of audience. 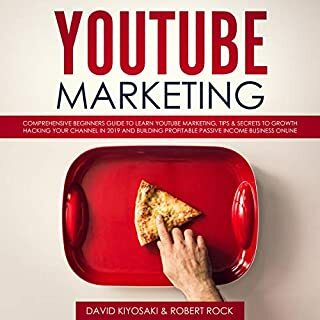 You will also learn about the benefits of YouTube marketing, steps to create a YouTube marketing campaign, tools to use for YouTube marketing, tips to enhance the efficiency of your marketing campaign on YouTube, tips to increase your reach, and much more. How to explode your YouTube channel's growth in less than three months! Baby Names: Your Best Source for Names with over 15000 to Choose From! A good beginner's guide, but a lot of what was listed seemed like common sense information. I was hoping for more of a detailed guide or maybe something about analytics and how to use it for channel growth. Analytics were touched on, but not very in depth. I would recommend this book to all the PR and marketing pro that want to get an overall description of the challenges and new opportunities marketers face with new media. This audio book has some good knowledge and information on the subject of social media. Lots of nice info. Highly recommend this audio book for anyone planning a social media campaign across all the major platforms. 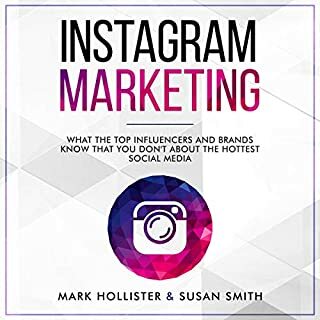 This is a great audio book that really gives you an understanding of how to use social media in a productive way to grow your business. An excellent audio book and simple to understand. Everything you need to know first hand is there. Everything you need to know first hand is there. Could not be happier. If you need a book to develop your business with social medias, you have to get this book and keep it by your side. So if you consume as much free content from Think Media or Video Creators on YouTube there's a good chance you've heard the majority of the content already. Now I did the e-download, and it took awhile before I was reading anything that was new to me. But, by the end of the book there were probably 5-6 things that were brand new ideas I've never heard before and to me those 5-6 were exactly what I paid for. I was satisfied with the return on the $4.99 investment by (e)book's end. I posted my first youtube video back in 2013 and got videos that ranked. After awhile I got overwhelmed and lost my focus. I discovered Video Influencers through Benji's wife, Judy, which then introduced me to Sean and his Thinkmedia channel. Between Sean and Benji they sparked that excitement to restart and rebrand my channel but with meaningful focus. I received this book earlier than expected and I'm only on chapter 2 but it already has post it's throughout. The book is nothing less than expected and I already feel the gears in my head thinking deep on the whys. For anyone that needs encouragement or fear of starting this book is for you. I have a national radio show and my YouTube content has been mostly just posting the audio of my radio shows with a single still graphic (although one short documentary I did has more than 700,000 views). Yes, people do 'listen' to radio shows on YouTube, but most of my listens are from iTunes downloads. I finally decided that I was largely wasting the opportunity on YouTube by using it for such a narrow purpose. I began watching some of Sean and Benji's videos a couple of months ago and got motivated to start creating videos that made more sense for YouTube. I am already seeing a huge spike in views and subscribers (even with short videos). 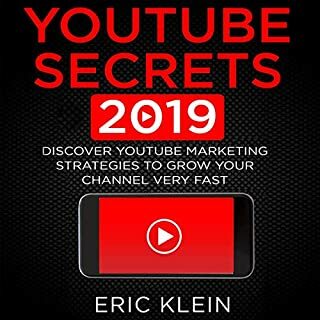 One thing that really jumped out at me in the book was the idea that you don't do SEO AFTER you create the video, you do SEO first (before you decide to do the video in the first place). I don't do a lot of Amazon book reviews, but wanted to get one up quickly on this book as I think it will help so many people. I think these guys have a heart for helping people and that really comes out in their new book and their YouTube videos. 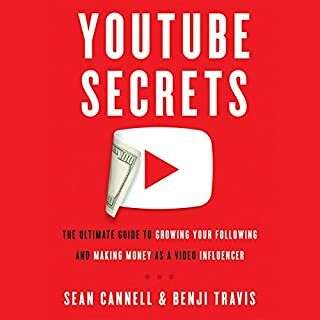 For YouTubers who’ve been grinding hard for years and think they know ‘the formula,’ there’s still some real gems in this book and it’s also very beneficial to be reminded of what you may already know works, but maybe aren’t actually doing (or doing anymore) because bad habits crept in or you’ve been stuck in a pattern and needed that little reminder to make some small changes that will make a big difference. Excellent book. These guys are the best in the industry. While I’ve been on YouTube since 2006, it took me TEN YEARS to reach the one million subscribers milestone through countless hours of not just content creation, but also research, trial and error, and brainstorming with other YouTubers because in the early years there weren’t any strategists who knew what the best practices were, or who helped channels think outside the box and beyond just AdSense as a revenue source. But Sean and Benji have done their homework and if this book would have been available a few years ago, I’d probably have double the subscribers I have now. Honest, very helpful, cuts right to what you need to know. This is excellent for anyone who is trying to get going on Youtube . This is a very helpful and informative book. 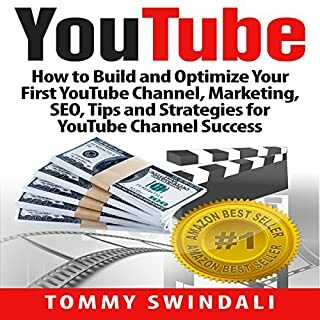 The author is very thorough and down to earth, he gives very detailed instructions and tips on how to create quality YouTube videos. 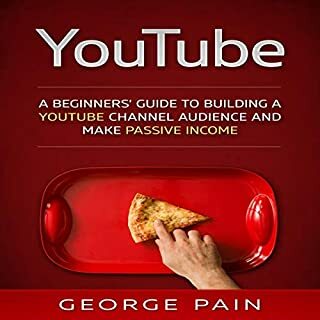 It's laid out in a very understandable format, so if your looking to start your own YouTube channel, read this book!